Spring/Summer 2012 Edition: Long live lovers! 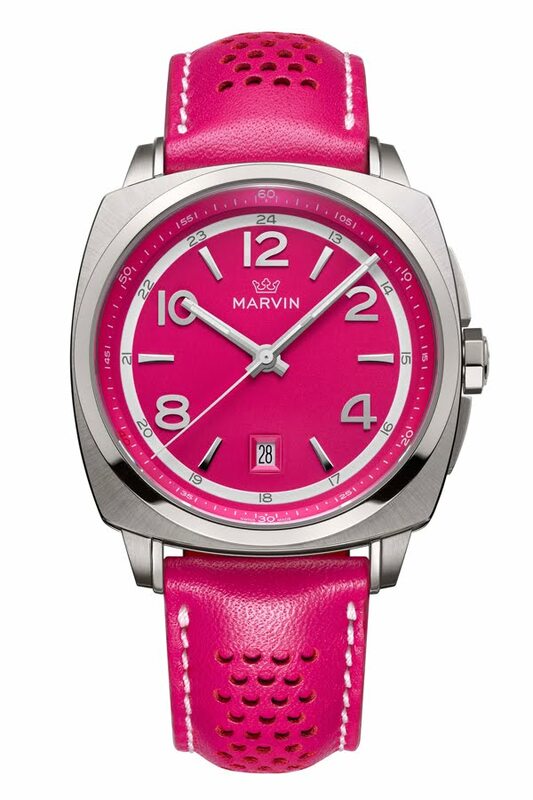 Marvin designed and issued its first Malton timepiece way back in 1906! Today, Marvin is celebrating its 160th anniversary and invites us to rediscover the delights of its shapely, sublimely timeless watches. 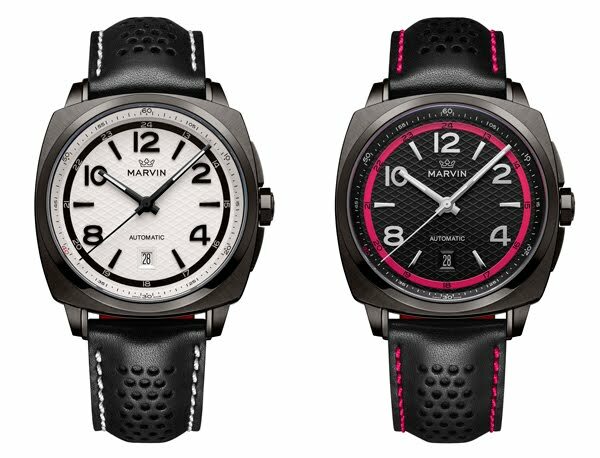 Marvin’s up-to-the-minute reinterpretation marvellously embraces the brand’s codes: stylishly fashionable and ingenious design, created in a genuine, totally committed watchmaking spirit, first-rate quality and well-thought-out prices that come as something of a surprise. The trademark of the Malton collection is the interplay between hollow parts and full shapes around the edges of the case. This variation endows the watch with exquisite lightness, a striking signature and absolute elegance. It crowns the traditional characteristics of Marvin timepieces: the red detail on every dial, at 8 o’clock – a reference to the history of the brand, the founders’ hallmark on the caseback and the symbol of the three-branched Marvin crown, modelled on an upturned “M”. 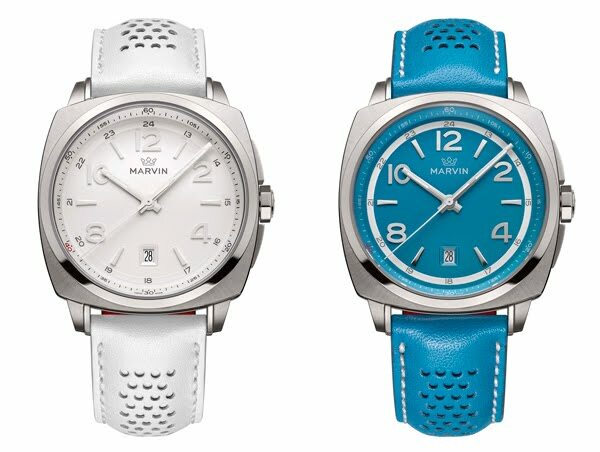 As spring 2012 dawns, Marvin presents its highly-refreshing, spicy coloured variations, dedicated to all those who delight in sharing their timepieces. The scene is set… with these successfully-matched, spirited duos. Choose your favourite cocktail! The perforated vintage strap adds the final touch to its design. The timepiece is available in candid colours that blend perfectly with the dials and offer an upbeat, summery look. Sébastien Perret – one of Marvin’s favoured designers since the brand’s renascence in 2007; he contributed, in particular, to the development of timekeepers for the watchmakers Christophe Claret, Perrelet, HYT, Leroy and Harry Winston. Jean-François Ruchonnet – creator of the Monaco V4 timepiece for Tag Heuer, Breguet’s double tourbillon and founder of the Cabestan brand. The three-hand models are proposed with a Ronda 715 quartz movement. The three-hand models, with their black, PVD-treated case, incorporating a contrasting ring on the dial, are proposed with an automatic SW200 movement. Skilfully crafted in the best horology workshops, the Malton 160 collection epitomizes fine watchmaking that is steeped in history and creativity. 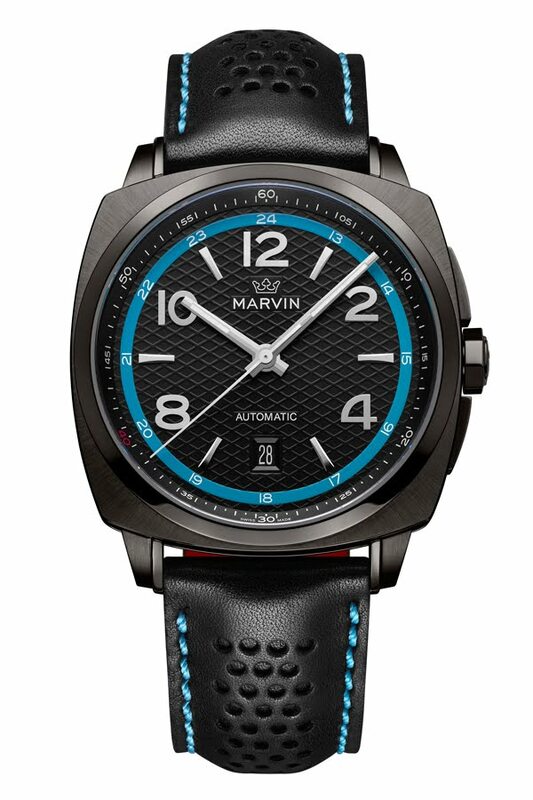 Marvin timepieces are guaranteed for 2 years and are watertight to 50 metres.